Florida Keys vacation rentals are numerous enough that you could say they come in all sizes, shapes and colors. The trick is finding Florida Keys rentals located where you want to stay. Equally important is finding rental vacation homes that have the amenities you're looking for, at a price you can afford. There's a lot of reasons why it can be a smart decision to opt for a rental on your Florida Keys vacation. Compared to staying at various Florida Keys hotels, or Key West resorts, you'll find that the 'at home' environment alone is worth the decision. This is especially true if you have children, or pets. It's also makes common sense if you're planning on having an extended vacation to the Florida Keys. Your first Florida Keys rental homes decision is to determine location. The best way to do this, is to define what you really want to do, while you're on your extended Florida Keys vacation. Once you know what's most important to you, then it's easier to isolate the property best for you. For example, if hustle and bustle, sunbathing on popular beaches, and lots of boisterous night life interest you, then consider Key West rentals first. 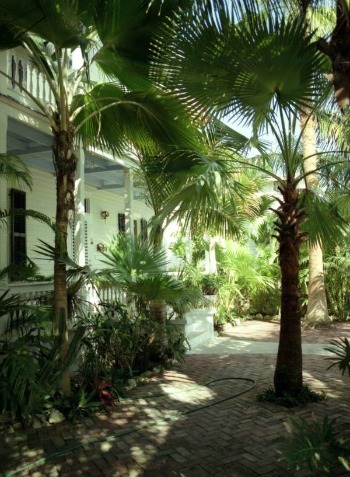 Now that you've narrowed it down to Key West you can sort through what Key West vacation rental homes are available. You can then decide on other factors such as waterfront or ocean view, or being close in to Duval Street and all the action. If you're a huge Florida Keys scuba diving enthusiast, prefer being in a larger center, and perhaps would occasionally enjoy spending time in the Everglades or Miami, then you'll want to consider Key Largo. It's nice to know that if you choose the Upper Keys, you're not limited to just Key Largo rentals either. 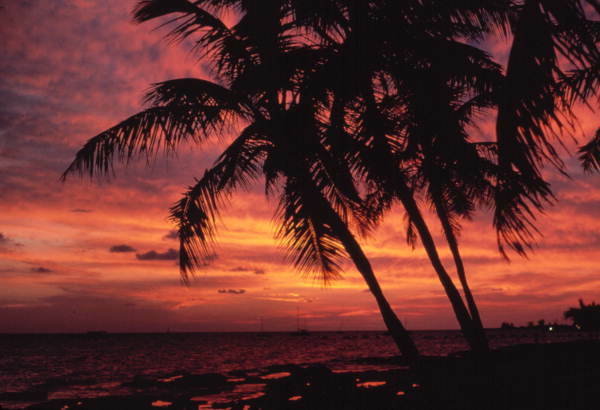 Check Tavernier and Islamorada rentals to see what Florida Keys homes are available here. Of course Marathon Florida and Key Colony Beach are wonderful choices for Florida Keys rentals. They have the best of all worlds since they're located in the middle of the Keys, close enough for you to enjoy Key Largo and Key West FL. In the Marathon Key area you'll find that the lifestyle is more laid back and this can reflect in the types of Marathon vacation rentals. Here you'll enjoy the ability to relax, fish, scuba dive, or play on the beach. Marathon Florida is typically more economical for dining out, and other Florida Keys activities than Key West is, so that can be a bonus as well. When you're looking at the different vacation home rental options, you can expect to find everything from extravagant luxury, to modest comfort. It simply depends on what's important to you. For example, if you're renting a home, you'll typically have a 3 bedroom 2 bath that undoubtedly will have a lovely lanai and swimming pool. If you're planning on a Florida Keys vacation during the winter months, and your idea of fun is lounging pool side or floating around in the pool - you'll want to make sure the pool is heated. Winters are beautiful in the Florida Keys but an unheated pool in the winter can still feel chilly. Rental homes are of course fully furnished, with tasteful decor as a rule. The kitchens are fully equipped with all the essentials and usually you have laundry facilities, internet and TV. Homes that have "gourmet" kitchens will typically include elegant extras such as granite and stainless steel appliances. 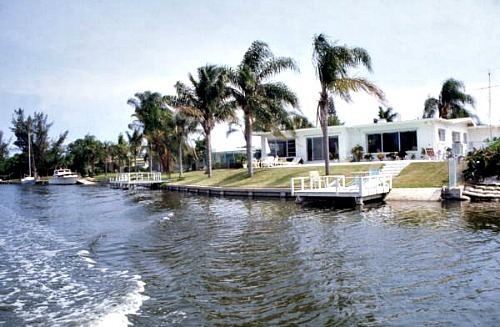 Some rental vacation homes are also on the water. 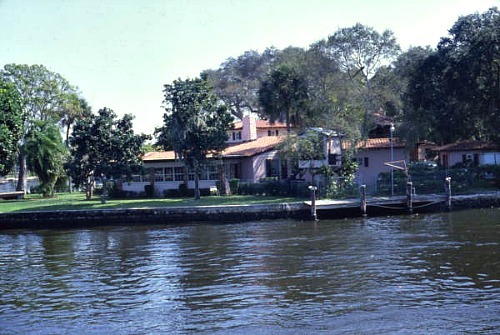 You can look for homes that are on canals, or for beachfront rentals on open water. Some homes may have boat dockage, so if you're bringing your boat, or plan on a Florida Keys boat rental, this feature can be a real plus. 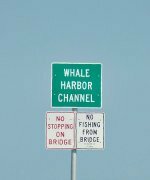 Florida Keys beachfront rentals or those that have a pier or dock also mean you can fish from your own backyard. If you prefer Florida Keys condo rentals or townhouses you can still check for villa rentals that are on the water, have water access, beach or beach access as well as boat dockage. The difference with renting a townhouse or condo unit is that you won't have your own private lanai and pool. You will however have a fully furnished, often very elegant 2 or 3 bedroom unit that also provides you access to all the amenities that owners and other guests enjoy. These amenities can be quite numerous so you need to consider what extras you're getting for your money. You may find that they include a larger heated pool or pools, tennis courts, gated security, clubhouse with game room, lush landscaping, spa, restaurants, tiki bar, internet, and even group activities. Another factor you need to consider when beginning your search for Florida Keys house rentals is do they allow pets? If you're traveling with Fido or Fidette, you'll need to ensure that your pet will be accepted. Another important concern is to determine the number of pets allowed and the maximum weight limit. Likewise, if you're highly allergic to pets, and it's important to you that pets have not been in the unit you intend to rent, you'll need to confirm whether pets are allowed. If you find the perfect unit and it's pet-friendly, then it's advisable to determine exactly how they clean a unit after guests with pets leave. With beachfront vacation rentals you'll also need to be aware of important do's and don'ts that relate to protection of sea turtles. These beach house rentals are often affected by the sea turtle nesting season which occurs from March to October. One critical sea turtle protection tip you'll need to be aware of relates to your lighting. Outdoor lighting on the exterior of homes and docks, as well as indoor lighting can draw sea turtles away from their important task at hand. For small hatchlings, proper lighting use can mean the difference between life and death. 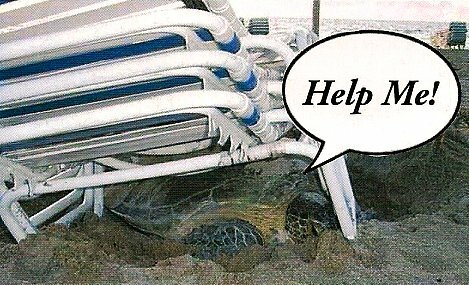 Likewise, leaving patio furniture and other items on the beach can result in unnecessary turtle deaths. Florida Keys vacation rentals are terrific choices for anyone planning on spending more than just a week or two vacationing in the Florida Keys. They give you the comfort of being in your "own home", and allow you to fully experience what life is like when "living" in the Conch Republic.